Prime retail offering on Riddells Creek’s strip shopping district opposite Riddells Creek Train Station, Riddells Creek Primary School and the Riddells Creek Hotel. Buy in confidence knowing that your property is surrounded by complimentary services such as the Riddells Creek Pharmacy, Foodworks and the fabulous Vics @ Seasons Restaurant. Zoned Commercial 1 and on the one title, the property comprises two tenancies, the front being approx. 79m2 land leased to long time tenant ‘Hook to Plate’ fish and chips for $18,840 per annum Lease expiring 29/03/2020 with 3 x 3 year options for a further term. The rear tenancy of 75m2 approx. 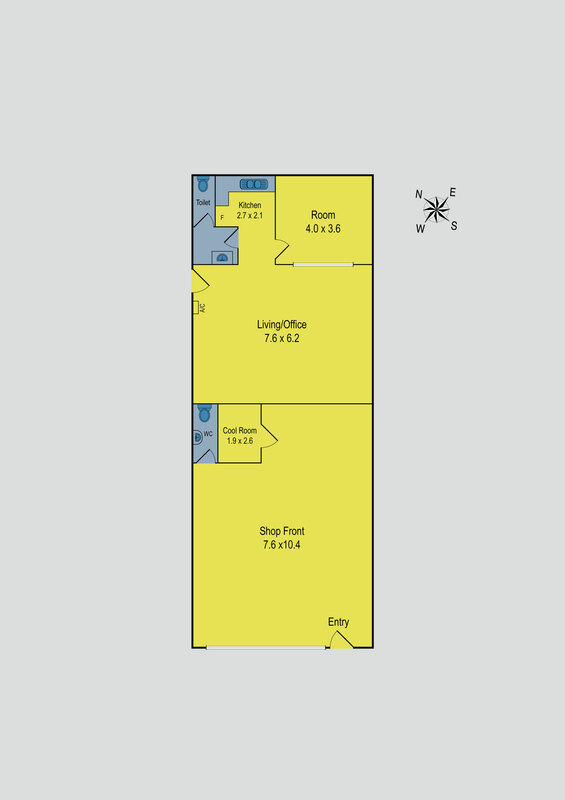 is vacant and comprises a large open area, separate office, toilet, kitchenette and split system ripe for a tenant to make it their own. Not one but two tenancies gives you tenant diversity with the opportunity to enhance your investment return by leasing the rear tenancy (expected income $200- $250 per week) and achieve over a 6% return once fully leased. The township is sure to grow, with plans and permits in place for a Station Street shopping centre development directly opposite. Don’t miss out.